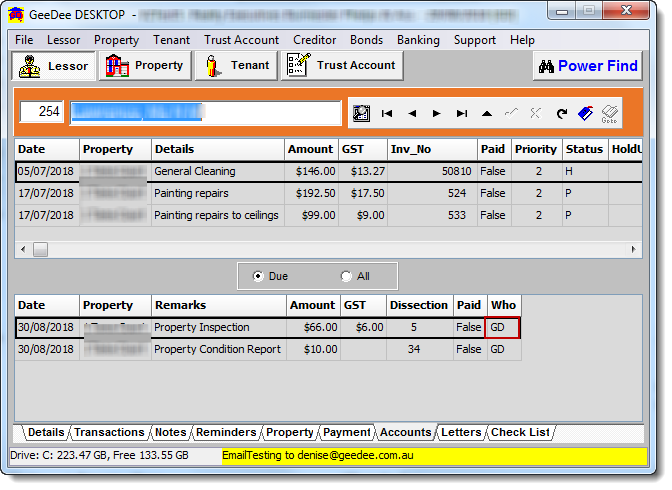 Console Cloud is Australia’s newest trust accounting and property management solution, designed with Property Manager’s at its core. Console Cloud. It’s ready now, but there is so much more to come. 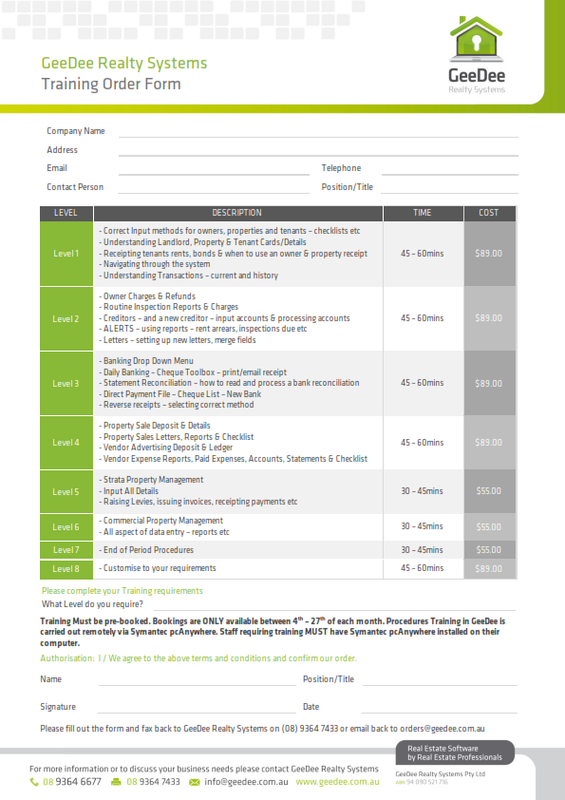 Currently most suitable for agencies with Residential & Sales. If you are interested in a demonstration please contact one of the GeeDee staff members to arrange. 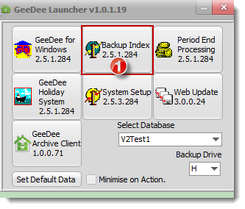 After running your Web Update you may be prompted to run a GeeDee Index. See Index steps below. The Reminder list printed on a Friday now also displays any reminders entered for a Saturday and Sunday date. If any alphabet characters have been added to a mobile number to help identify a person these will now be ignored when creating a new SMS. It will still appear under Alerts however will allow to be sent. 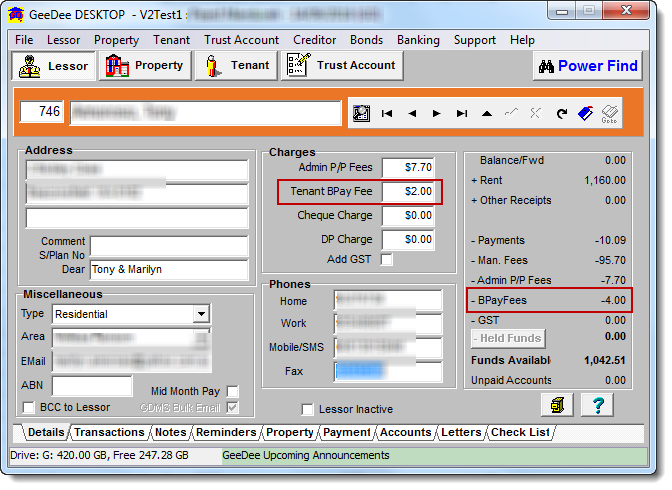 In the Management Authority if it is agreed to charge the Lessor for bank fees this can now be added to the Lessor card. If it is to be applied to all owners, and the same amount then GeeDee can do this as a bulk input. Please contact GeeDee support staff for further details. 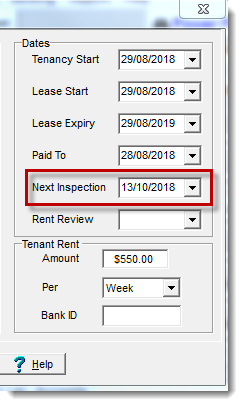 When entering a charge for a property inspection from the property drop down it now displays the initials of the user who entered this fee. 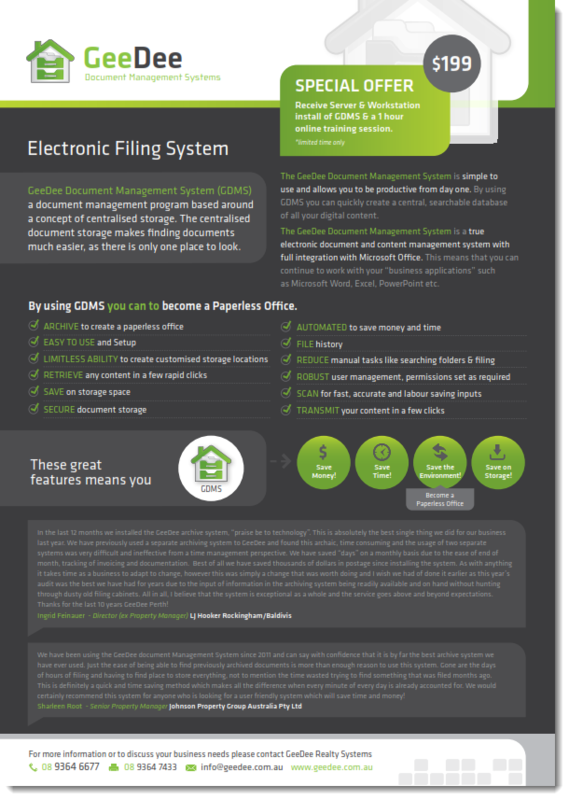 Phone: (08) 9364 6677 | Fax: (08) 9364 7433 | eMail: info@geedee.com.au | Web: http://www.geedee.com.au/ © GeeDee for Windows Pty Ltd 1984 - 2018 All rights reserved. 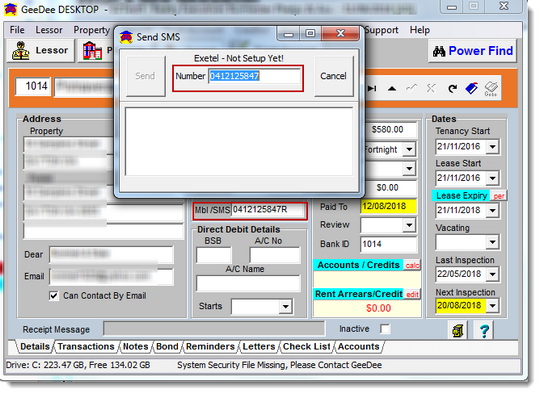 Real Estate Software by Real Estate Professionals. 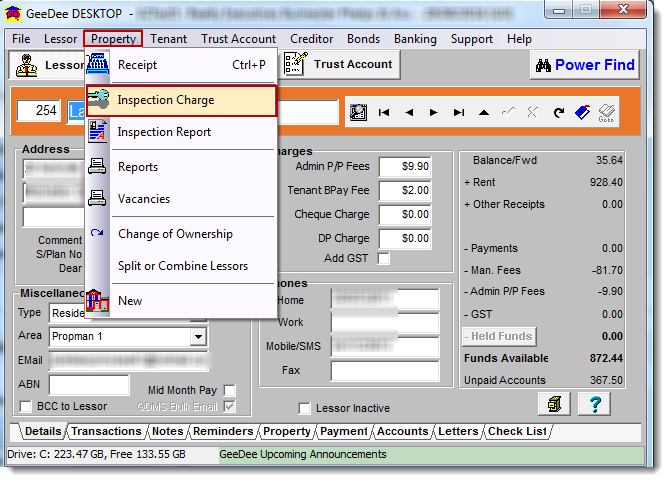 Trust Accounting & Property Management Software with Enterprise Electronic Document Management..